This question has a very simple answer – Dr. Wood likes making things! He has a genuine, unending passion for the dental field, and being able to do what he enjoys every day of his life is a wonderful feeling. 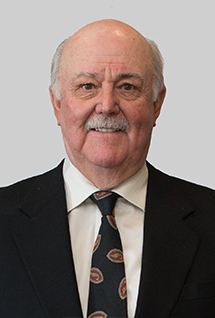 After earning his Bachelor of Arts from Albion College in 1966, Dr. Wood pursued his Doctor of Dental Surgery at Washington University Dental School. He was trained by one of the best dentists in the world, Dr. Sam Guyer, and became a master ceramist while attending dental school. He also studied osteopathic manipulation with Dr. Viola Frymann at the College of Osteopathic Medicine of the Pacific in Pomona, CA. Dr. Wood is married and has two adult children. Outside of work, he has always had a deep love for cooking and is also a single digit handicap golfer. He sees a lot of deep-sea fishing in his future as well. Despite his age, he’s definitely young at heart!